We all want it: fewer wrinkles, a more youthful face, quick recovery time and all at a reasonable price; wishful thinking? Maybe not. The renowned Marbella Vein and Beauty Clinic has now added Endymed Radiofrequency Skin Tightening to their ever expanding list of non-surgical, physicianadministered aesthetic treatments. This procedure offers amazing results, less downtime and a smaller price tag. Sometimes wishes can come true. After a consultation with Dr Dhobb, an aesthetic facial and corporal diagnosis is undertaken, with treatments being adjusted to suit the needs of each patient. All solutions embrace his philosophy of being minimally invasive with maximum results, allowing the patient an immediate return to daily routine. Dr. Dhobb’s ultimate aim is the maintenance of a natural and harmonious visage and, with this in mind, he uses the least invasive corporal and facial treatments which, skillfully applied, allow him to obtain wonderful results. 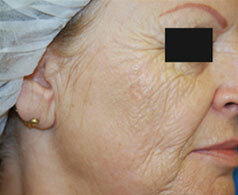 “Our treatments can improve the appearance of frown lines, sunken cheeks, uneven lips, tired eyes and even acne scars. Many go hand-in-hand, meaning I can create bespoke treatments for each client. We offer Botox, Mesotherapy, Laser and a wide range of fillers. For the latter we use mainly hyaluronic acid, because of its compatibility with the human body. Using the blunt-tip micro-cannula as an alternative to the hypodermic needles has simplified filler injections and produced less bruising, echymosis and pain with faster recovery, also allowing for a more even distribution of products.” Dr. Dhobb has performed thousands of complex procedures and his expertise encourages even the most nervous patient to feel safe in his hands. State-of-the-art technologies used in aesthetic medicine are constantly being improved, making yesterday’s equipment and innovations yesterday’s news. “In order to compete at the highest level, I always invest in the latest technology. You will find only the best equipment at my clinic, the Endymed Pro 3 Deep Radio Frequency system and the Alma Laser Harmony platform being the latest additions. The EndyMed will be particularly popular this summer as, unlike most radio frequency treatments, it allows the patient to head straight out into the sun. This is not a ‘winter only’ procedure; Endymed is the perfect summer cocktail, where you can enjoy a beautiful glow all summer long,”Dr Dhobb adds with a smile. Ideal for skin that has lost its spring, it is a simple, quick and painless procedure, which provides excellent results for body contouring and facial skin tightening. All RF treatments work by delivering radio frequency energy to heat the sub-surface layers of the skin in order to cause collagen contraction and remodelling, resulting in tighter, younger looking skin. But, because EndyMed uses an advanced, multisource, phase-controlled technology, this newest radio frequency treatment can deliver energy more safely and precisely for maximum effectiveness with no patient discomfort. 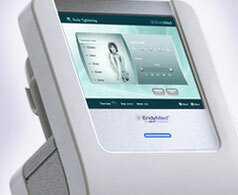 EndyMed is also an excellent, non-invasive option to improve body contours, reduce cellulite and promote skin tightening in many areas, including the waist, abdomen, hips, thighs and buttocks. The latter has proved particularly popular. With bikini season in full swing, and women demanding derrieres like Kim Kardashian and Pippa Middleton, EndyMed offers the world’s first non-surgical bum lift. The intense frequencies immediately tighten the skin, raising the behind by up to an inch. The treatment also produces new collagen in the skin, giving the bottom a smoother appearance and promotes a long-lasting effect. 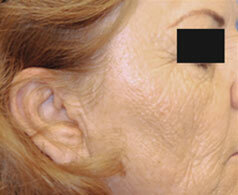 With the help of the Marbella Vein and Beauty Clinic you can reduce wrinkles and tighten skin anywhere on your body.